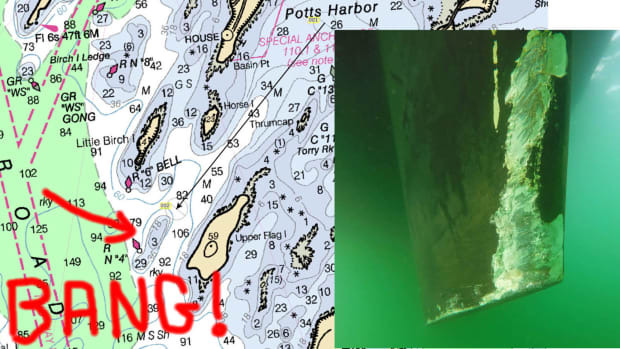 Thanks to the new Garmin GPSMAP 742xs plotter I recently added to the Betty Jane II’s lower helm station, I’ve experienced an epiphany of sorts. Not only did the nifty little project boost my appreciation for the sophistication of today’s navigational electronics, it did something else: It revealed to me like never before the immense gulf that exists between today’s GPS technology and the GPS technology of yore. 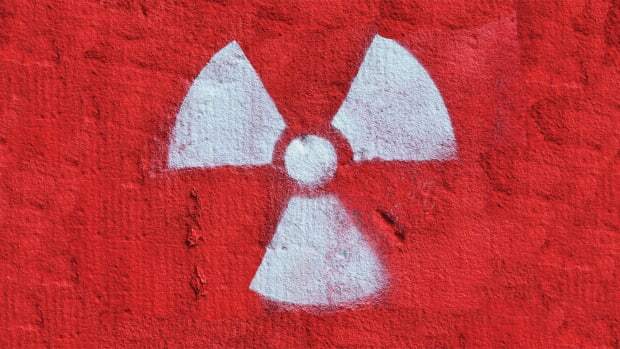 I mean, let’s face it, folks—today’s new stuff makes yesteryear’s old stuff seem like cave paintings from the freakin’ Paleolithic Era. 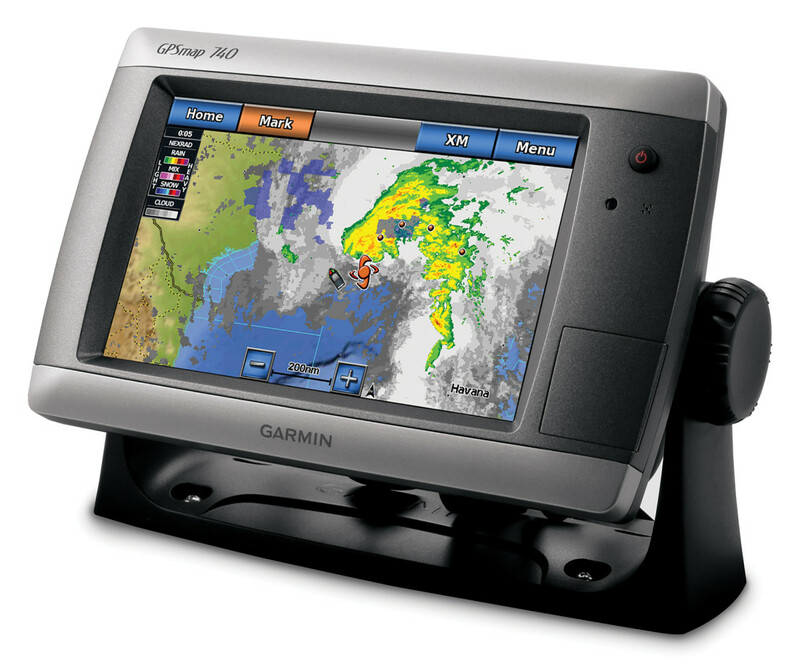 Years ago, the Garmin GPS 120 got modest accuracy with an external antenna. Today’s super-sharp 742? No externals needed. Consider the install itself. The 742, with its internal antenna, was a breeze to set up: All I had to do was secure the bail-mount bracket on the teak panel above the lower helm’s dashboard, run a flexible power/NMEA 0183 cable through a gland in the dash to an electronics-dedicated Blue Sea Systems fuse block under the helm, connect the red power wire and the black ground wire to the fuse block and presto! I was in business. Plug and play? Yup. Time commitment? Maybe two hours, tops. Compare this to GPS plotters of, say, the mid ’90s. Back then, in order to coax a position from a relatively threadbare constellation of GPS satellites whirling overhead, you had to carefully position and install an external antenna, usually on a pole mount after installing the mount itself. And then, once the antenna was satisfactorily (and perhaps aesthetically) positioned, there were cables to run behind panels, under headliners and through bulkheads, an often complicated and difficult process that occasionally went smoothly but often did not. Which is not to say, of course, that my new 742 can’t be outfitted with an external antenna in addition to the one it’s already got inside—it can. But given the efficiency and speed with which the unit locks onto GPS and GLONASS satellites without external support, you gotta wonder—why bother with it? The systemic capabilities of the new 742—versus the comparatively limited capabilities of older units I’ve owned over the years—proved enlightening as well. 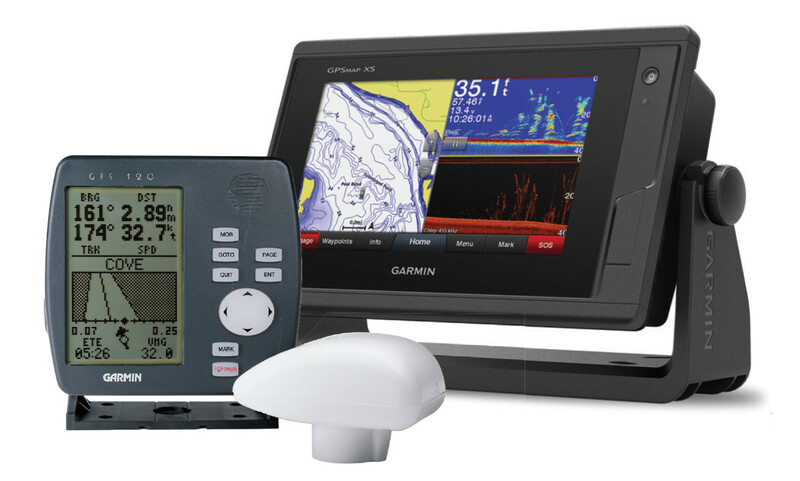 Think back 20 years or so—about the most you could get out of a GPS chartplotter were a few navigational functions entirely dependent upon the insertion (and purchase) of a separate chip imprinted with one form of marine cartography or another. Certainly, you could key-punch in waypoints and routes (with levels of difficulty that varied from manufacturer to manufacturer) and use them to get from hither to yon, but that was basically it. Moreover, positioning speeds were tar-in-January slow and positioning accuracy iffy, especially with single-channel receivers that “sequenced” through the four satellite-ranging measurements (three to get a fix and a fourth to validate it) that are necessary to accurately produce latitude and longitude. Add to such drawbacks the problems associated with Selective Availability (a government program, discontinued in early 2000, designed to degrade public GPS signals for national security reasons) and it’s easy to see why older GPS chartplotters were comparatively pricey and needed to be teamed up with SatNav and/or LORAN to guarantee coverage and capability. The 742 I just installed on Betty, however, belongs to a radically (and I do mean, radically) different order. Indeed, if you stack it up against a top-shelf GPS chartplotter from just 10 years ago, it’s like apples and aerospace. For starters, the 742 has a 10-Hz multi-channel receiver with a quad-core processor (like the one in your laptop or tablet) that’s compatible with rafts of satellites. 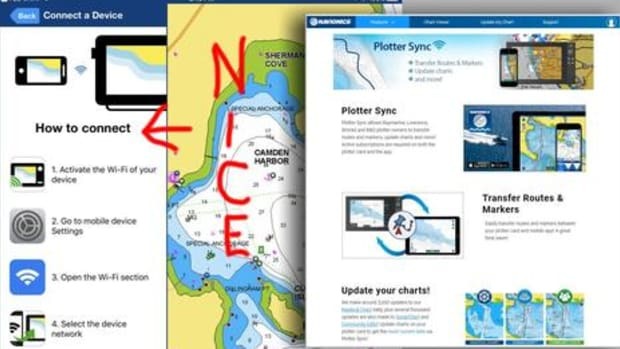 Screen re-draw times are split-second fast; fixes and headings are refreshed 10 times per second; positioning is consistently accurate to within 1 to 3 meters; and LakeVu HD (inland waters) and BlueChart g2 (coastal) cartography comes pre-loaded, although an upgrade—BlueChart g2 Vision HD—is available. Then there are all the extras. 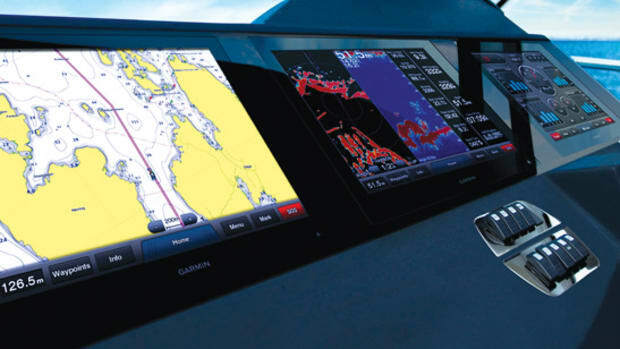 The 742 offers a complete networking system that supports collision-avoidance sonar, radar, multiple cameras and NMEA 2000 connectivity for an autopilot, AIS, VHF and other sensors. 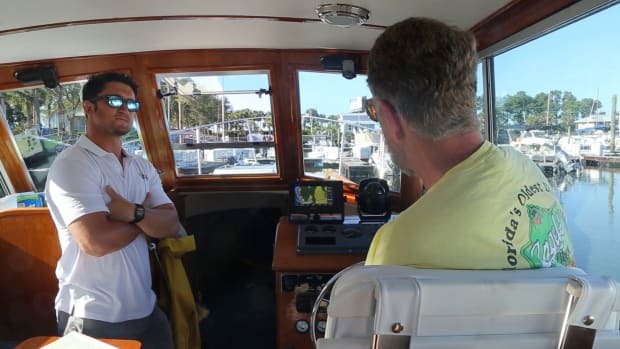 And it also has its own built-in WiFi system, which means, of course, that a skipper can under certain circumstances enhance his situational awareness by moving around his boat while viewing and controlling the plotter with a compatible smartphone or tablet. Then there’s connectivity. 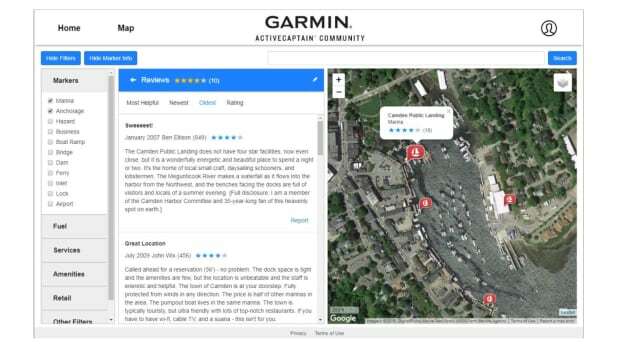 The 742’s access to Garmin’s Quickdraw Community allows a skipper to create his own contour-type maps and share as well as crowdsource them. 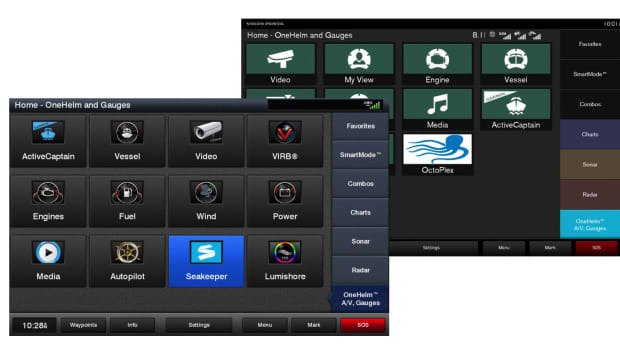 The unit’s ActiveCaptain app provides oodles of up-to-date feedback on marinas and important cartographic and software updates. And SiriusXM Weather, a pay-to-play service I also added to Betty’srepertoire, puts real-time weather data, both local and regional, literally at fingertip disposal. And finally, there’s Auto Guidance. Load the cartographic upgrade I just mentioned (BlueChart g2 Vision HD) and AG will produce entire routes with the push of a touchscreen button. Sure, you may have to go back afterwards and tweak a turn or two and make sure the straightaways are navigationally safe, but talk about a time-saver! And get this—via AG’s timed-arrival feature, the 742 will tell you what speed to run in order to make bridge openings right on time. Cool, eh? I gotta say—I was pleasantly surprised when I opened the cardboard box that contained my new 742. Instead of a massive, old-fashioned installation/user’s manual inside, I found little more than a couple pamphlets, one entitled “Quick Start Manual.” A cursory glance at this baby told me it probably covered the basics only, like how to plug in waypoints and routes. So, because I’ve owned several Garmin plotters over the years—and because operation is similar if not identical, unit to unit—I tossed the pamphlet aside and simply hit the 742’s power switch once my install was complete, bearing in mind that, as is typical, a currency-guaranteeing software update would be necessary. Subsequent operation went smoothly and so did the update, thanks to my Dell PC and a mini-SD card. But the fact that I could have otherwise addressed the update by simply downloading the new data to my iPhone and then pairing the phone with the 742 via its WiFi system got me to thinking. Given the level of compatibility that the 742 so obviously shares with laptops, SD cards and smartphones, is it possible that, some day, perhaps in the not-so-distant future, the whole mélange might be synergized into one small, portable super-computer—a sort of plotter for all seasons—that navigates upon the high seas but also does a whole slew of other, lubberly things while ashore? 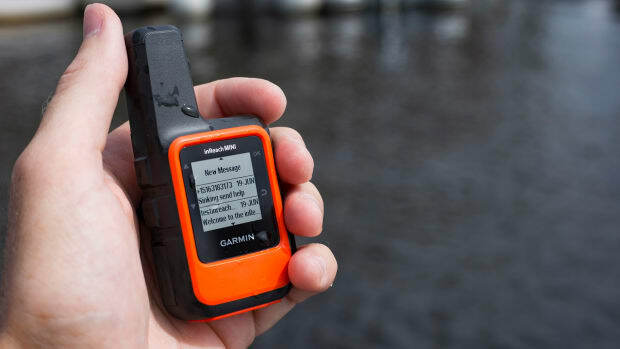 I dialed up Garmin Marine’s Director of Sales and Marketing Dave Dunn to see what he thought of the idea. Emboldened by this rather entertaining response, I hit Dunn with another question that had been bugging me since I’d unpacked the 742 and succumbed to a long-standing tendency to speculate about worlds to come. Right now, Garmin markets an automotive-type product called Garmin Speak, a little dash-mounted GPS navigator with Amazon’s Alexa built in. 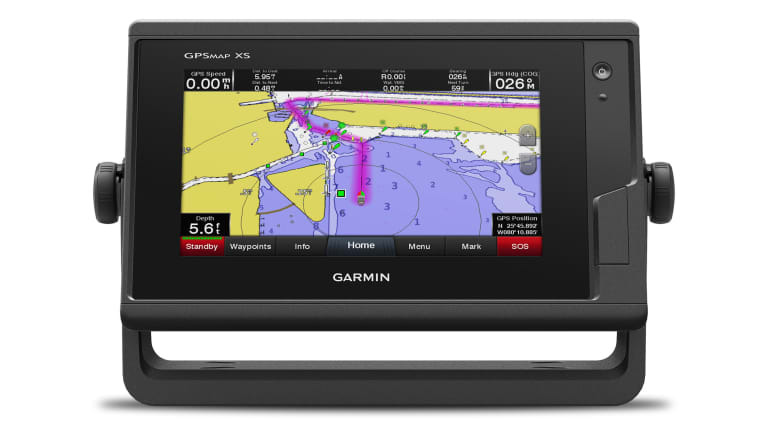 Might Garmin, in the future, offer a GPS plotter for boats that a navigator does not actually touch but simply talks to? You know, like, “Home, James,” and off you go?